MV Sajir has a 15,000 TEU capacity, and it is classed by DNV GL. According to the owner, preliminary calculations indicate an Energy Efficiency Design Index (EEDI) value that is close to 50% below the 2025 limit established by the IMO. 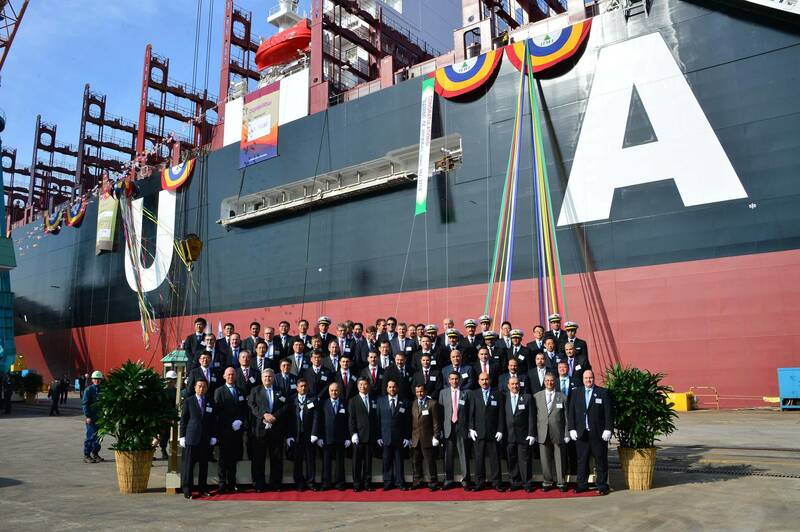 MV Sajir will start operating on the Asia–North Europe route after delivery. Ten further A15 vessels and six 18,800 TEU (A18) box ships will be delivered from Hyundai Heavy Industries and Hyundai Samho Heavy Industries to UASC by mid-2016. Sajir takes its name from an area in Saudi Arabia that is known for its luscious landscape and farming heritage. “These highly efficient vessels help us significantly reduce the amount of fuel we consume per container,” said Jorn Hinge, President and CEO of UASC. “We operate one of the world’s youngest container vessel fleets and are committed to making it more environmentally sustainable. The A15 vessels go beyond what regulations require and set new standards in terms of efficient, safe and sustainable operations,” he remarked. 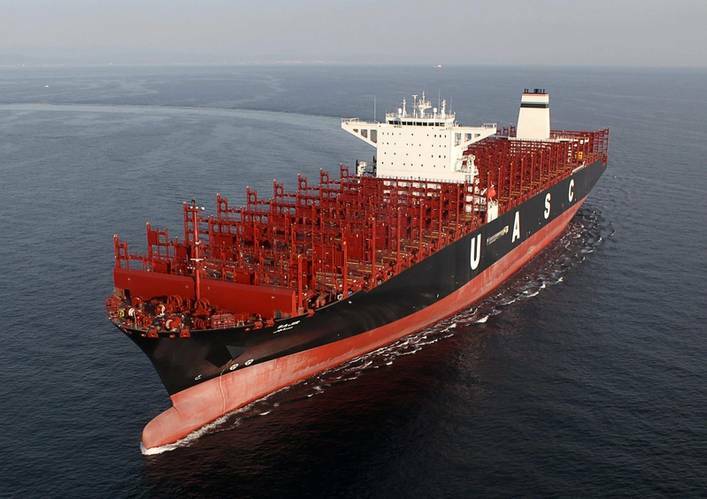 “By combining leading innovations in ship design, propulsion technology, energy management and container stowage, the UASC newbuildings set new standards in container shipping. We would like to thank our partners for mutually sharing their knowledge with our experts in order to develop some of the most efficient and safest vessels the industry has seen so far,” said Tor Svensen, Chief Executive Officer of DNV GL Maritime. The CO2 output per TEU for this new vessel class will be 22% less than for a 13,500 TEU vessel delivered only two years ago. The environmental credentials of the A15 class are further highlighted by the fact that these vessels are designed and prepared for a quick and cost-efficient LNG retrofit at a later stage. This “LNG-ready” concept has been confirmed with an Approval in Principle from DNV GL as an industry first. The vessels will further receive DNV GL’s CLEAN class notation, which documents that the new generation ships comply with environmental regulations beyond today’s normal IMO, flag and class standards. They will also be provided with an Inventory of Hazardous Materials, which is not yet a mandatory requirement, and they are one of the first to receive an Energy Efficiency Certificate with documented EEDI. The A15 class vessels also deliver world-class standards of structural safety. The fatigue strength of the hull structure is based on the assumption of 25 years of operation in the North Atlantic, which is far beyond the normal standard. The A15 vessels will also be equipped with a DNV GL approved hull stress monitoring system that provides guidance to the crew on current stress level in the ship structure during operation.